Hope Chase is a member of the National Honor Society, BEAM&R, Ambassador Club, Marian Melodies, Marian Rice Players, and Model United Nations at Marian. A volunteer juror for the Teen Court program at the 48th and 51st District Courts for three years, Hope worked with first-time juvenile offenders who committed misdemeanor offenses. She has also spent the last two summers taking Advanced Placement classes at Princeton University and Stanford University through the Junior Statesmen of America program. Katerina Kornievskaia is a member of the National Honor Society, Friends of the Earth, Marian Melodies, and Marian Rice Players. Her art won the People’s Choice Award at the IHM Living Water competition in Monroe. She was select to be the alumni speaker at the 2017 Japhet School graduation ceremony, and she has volunteered at both Japhet School and Evergreen Health and Living Center. Margaret Perr’tiangha is a member of the National Honor Society, Friends of the Earth, Pastoral Team, and STEM Club at Marian. In addition, she is a member of the National Society of High School Scholars and President of Marian’s Forensic Science Club. A member of the track and field team, Margaret has volunteered at South Oakland Shelter and Evergreen Health and Living Center. About 34,000 commended students throughout the nation are recognized for their exceptional academic promise. 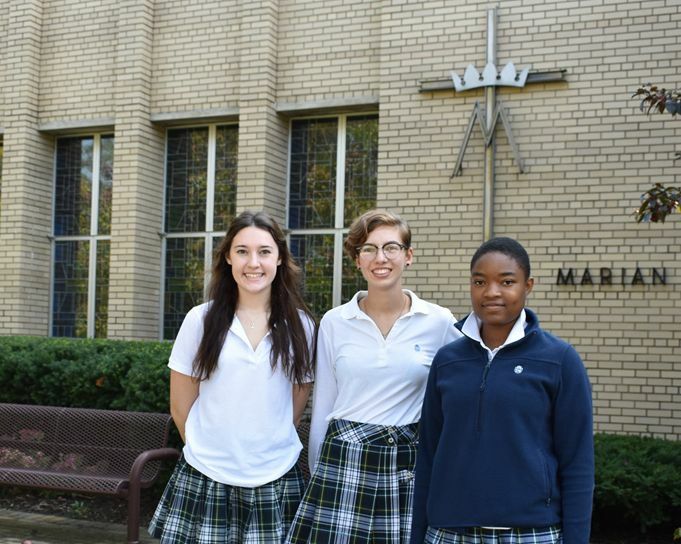 Although they will not continue in the 2018 competition for the National Merit Scholarship awards, commended students placed among the top five percent of more than 1.6 million students who entered the 2018 competition by taking the 20146Preliminary SAT/National Merit Scholarship Qualifying Test.